The best horse breeds in RDR 2 are Nokota, Turkoman, Arabian, Thoroughbred, and the Missouri Fox Trotter. These horses all have a high speed base, and the highest acceleration base stats. After around Chapter 4, you will be able to purchase the majority of these at the stables. They all fall in the $1,000 range, but if you have high honor the price will be knocked down by quite a bit depending on how high it is. With every horse when you look at the stats you will see fully filled in white rectangles indicating its current stats. There are also, light gray rectangles, these indicate the potential of the horse. To max out the stats to the horse’s highest potential, you will need to equips the horse with the best saddle and tack you can buy! You can purchase these at the various stables that are mostly found in cities across the map. Also, be sure to brush your horse when it gets dirty. A dirty horse will affect the speed of your stallion. Brushing will also improve your bond with the animal. So if you been riding it for a while facts b you need to brush it. This is one rare horse you can get early on in the game, and it will serve you well throughout. 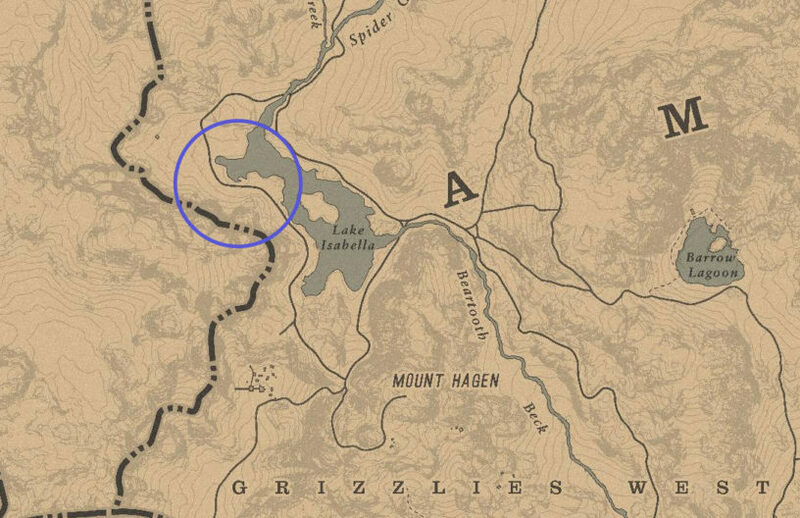 Head over to the west side of Lake Isabella, and be sure to put on your wintertime gear so you don’t freeze to death. You will need to be careful out there due to some predatory animals that can spawn around so make sure you packing some nice heat. Saving prior to attempting to tame the horse is a good idea. There’s been some reports of it disappearing if you fail to tame it after a few times, apparently the horse will not respawn again…it must be tired of your $^%$! This might be a bug, but for now I would just save your game so you can reload if you have any issues. Once you find the horse, you are going to need to be careful on your approach. It can spook very easily, so target it and slowly make your route to it by calming it down and patting it when you get a chance. Once you’ve done this a few times, you can then attempt to mount it. The horse is going to try and buck you off, so pull the directional stick in the opposite direction of where it is headed and you should be able to tamed it! If you are bucked off, you will need to repeat the process! 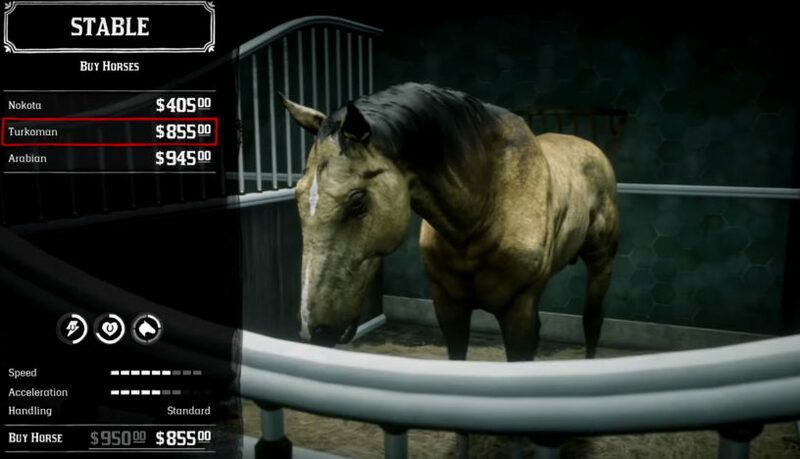 I highly recommend going after this horse early in the game, you aren’t going to find anything close to it, and it will serve you well until more horses are unlocked in chapter 3 and 4. This one you can get a bit earlier than most, but it’s going to cost you and you might not have the kind of funds needed for it this early in the game. Once you’ve gotten to Chapter 3, you can head to the Strawberry Stables and purchase the Brindle Thoroughbred. This horse matches the highest base speed with the Missouri Fox Trotter and Nokota. However, its base stats in health and stamina are weak, so be sure to have plenty of horse reviver around with you! 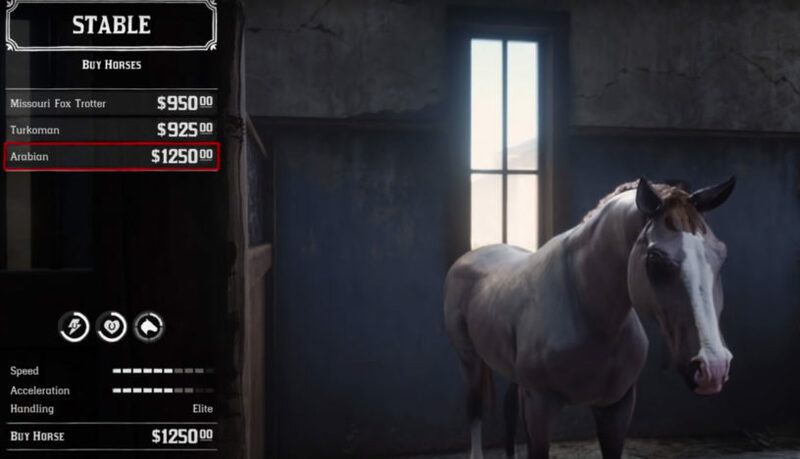 This is the top tier Arabian horse, and can be purchased at the Blackwater Stable once you reach Epilogue 1 in the narrative. 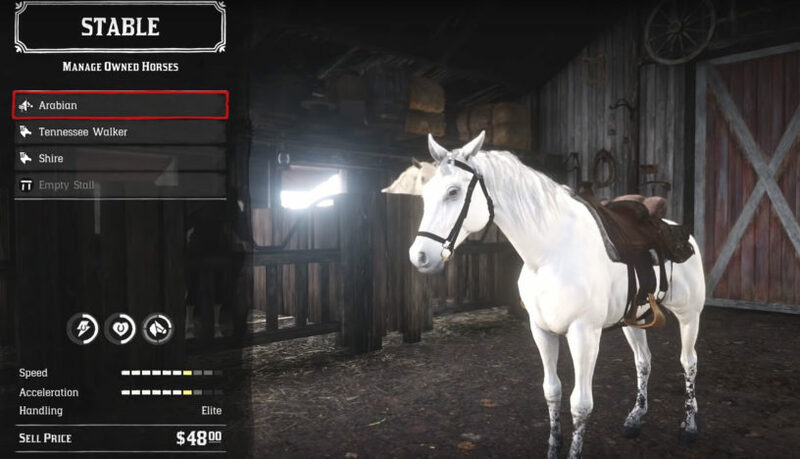 You can purchase another Arabian in the Saint Denis Stables at Chapter 4 of the narrative in the game, but this particular one with the Rose Grey color is the fastest of them all. 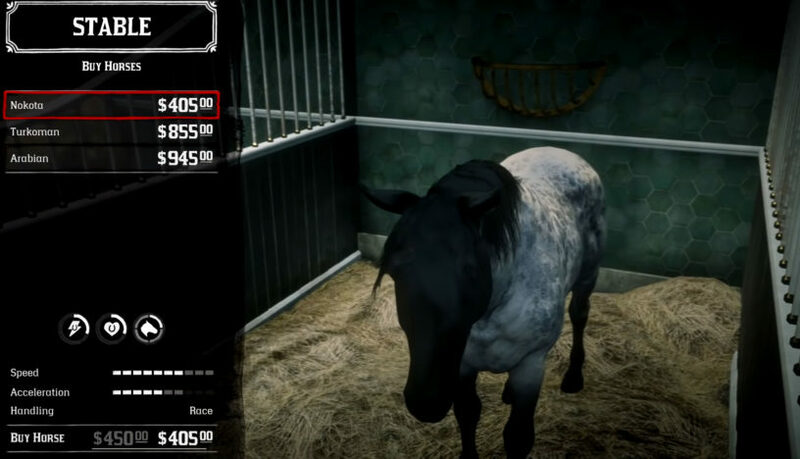 If you want a horse that has a lot of health and stamina without sacrificing speed then this is a good one you can get fairly early on in the game. This will be unlocked in Chapter 4 of the game, and can be found in the Saint Denis Stable. The horse comes in a few different colors, but the stats are identical across the board. This is the fastest horse you can find, but it comes with the sacrifice of having low health and stamina. You are far likely to kill off this horse, but you can upgrade the health and stamina once you’ve bonded/buy the right gear for it. This one is also available in Chapter 4 of the game and can be found in the Saint Denis Stable. The other versions of the Nokota which can be found in the wild are much slower than this one. The Missouri Fox Trotter is one of the best all-around horses you can get in the game. It has high base speed, acceleration, and also has strong health and stamina statistics. You can find the first available version in Chapter 4 of the game at the Scarlett Meadows Stable. The horse comes in two colors, but the stats are exactly the same. 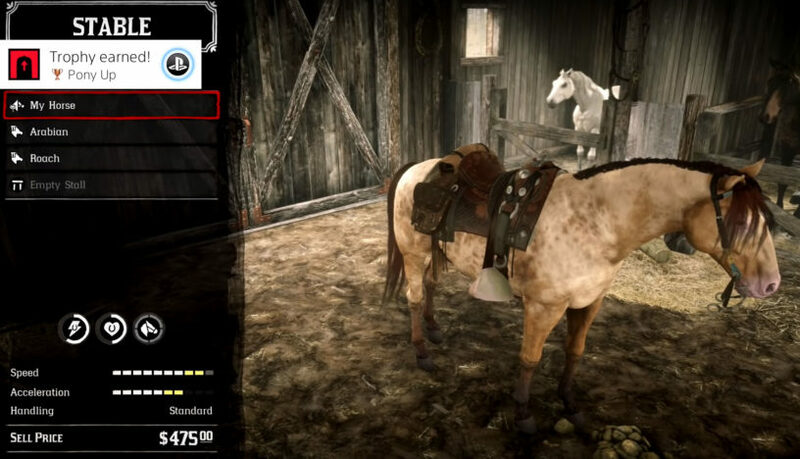 You can get Amber Champagne earlier in the game, but the Silver Dapple Pinto version unlocks during the Epilogue and can be purchased in the Blackwater Stable. If you want merely a really interesting looking horse and don’t care too much about stats then the Tiger Striped Mustang is a great one to grab. 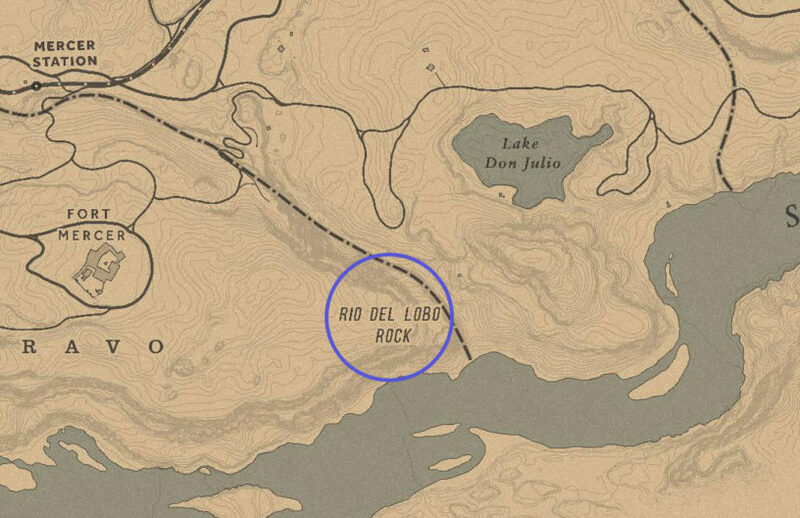 This is another horse that will require to get to the epilogue to get, but if you head south west to Rio Del Lobo Rock you can find this unique horse. This is the only place it spawns, so be sure to save prior to building your attempt to tamed it, because just like the White Arabian, you might get unlucky and have the horse get away or bug out. At first glance, the horse kind of looks normal, but around its legs are the tiger stripes that gives it a very interesting looking. You might need to travel around a bit in the Rio Del Lobo Rock area to discover it, but it’ll be worth the hunt! This is a method someone figured out that will allow you to find the best horses in the game for free fairly early on in the game. 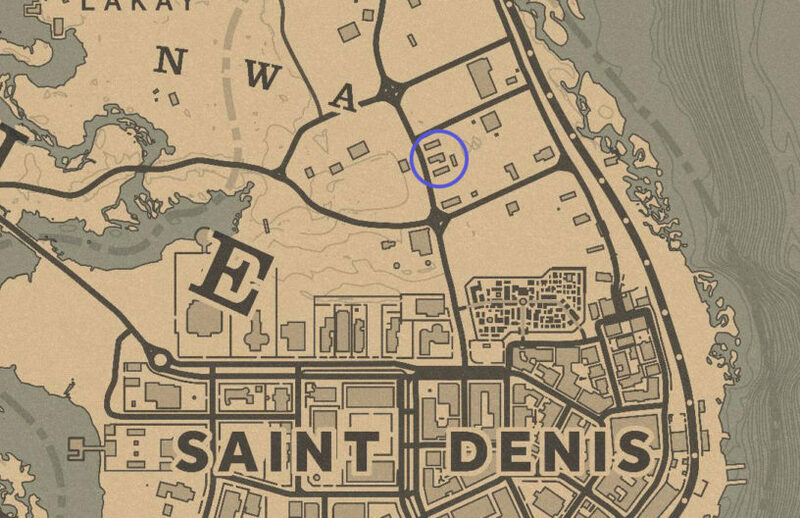 Once you can get to Saint Denis, which is the largest most advanced city in the game, you can head to a spot north of it that has a couple of horse spawns. These spawns are altogether random, and cycle through all of the breeds and different types of the breeds. This includes the versions of horses that are the best in the game, which are ones you wouldn’t have access to until much later in the story. There’s a couple of ways you can approach how to take advantage of this spot. The first is that you can save nearby and then head over to the region, check if there’s a rare horse, and either grab it or reload your save. This can take a while, but if you are on one of the faster consoles it might not be too bad. The second option, is you check the horses to consider which have spawned, and if you aren’t happy with them. Head north on your current horse for a little while, and then turn around and come back. This should respawn the horses and give you another set to check out. You’ll want to experiment with how far exactly you need to travel away to trigger the respawn so you aren’t wasting time!